We are pleased to offer Jin Shin Do® Acupressure by Judy Settle among our services at Kinesis Health. 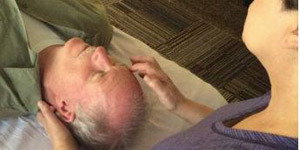 Jin Shin Do® Bodymind Acupressure® uses gentle yet deep finger pressure on specific acu-points and verbal Body Focusing techniques, to help release “armoring” or chronic tension, balance the “Qi” or energy, and improve vitality. This clothes-on method helps relieve stress- and trauma- related problems. A unique synthesis of a traditional Japanese acupressure technique, classic Chinese acupuncture and acupressure theory, Taoist philosophy, Qigong (breathing and exercise techniques), Reichian segmental theory and principles of Ericksonian psychotherapy, it is recognized as a major form of Asian Bodywork Therapy (by NCCAOM® and AOBTA® among others). Originated by psychotherapist Iona Marsaa Teeguarden, JSD Acupressure promotes a pleasant trance like state, in which one can relax and move out of the head and into the body, accessing feelings and inner wisdom. “Acupressure” refers to any technique using finger pressure on “acu-points” to reduce stress and balance the body energy. An “acupressure” method may be simple and symptomatic, or sophisticated and deeply therapeutic. Jin Shin Do® covers both ends of this spectrum, for it can be used both as a self-help tool and as a professional therapeutic method. It brings about pleasurable, deep relaxation and increased awareness of both body and psyche. Jin Shin Do® contrasts with acupuncture in the absence of needles, and because one individual is touched by another in a highly supportive way which evokes the feeling of being held, cradles and safe. It contrasts with Shiatsu in being a more slow-paced method and focusing more on deep release of muscular armoring. Jin Shin Do® Bodymind Acupressure® is not intended for the diagnosis, treatment or cure of disease. It is a relaxation therapy, and a useful adjunct to licensed, qualified medical or psychological care. For any persistent pain or symptom, even a seemingly minor one, the reader is strongly encouraged to consult a medical doctor. When used in conjunction with standard medical treatment, the Jin Shin Do® Acupressure technique can assist the healing process by releasing tension, decreasing stress and encouraging a sense of increased well-being. Each session is designed especially for you and includes a pulse assessment, which helps determine areas in need of balance in your body. You remain fully clothed (please wear light comfortable clothing) and lie on your back on a massage table, while the Jin Shin Do® Acupressurist holds combinations of acupoints. You determine the depth of the pressure. The experience is generally that sensitivity at the points is soon replaced by a pleasurable feeling of release. Usually you will eventually feel a deep sense of relaxation. You may share feelings or emotions that surface during the release of tension and stress, or just relax, perhaps falling into a deep and refreshing sleep. A typical session is one to one and a half hours. For more information on Jin Shin Do® Bodymind Acupressure® please go to www.jinshindo.org. Judy, a graduate and longtime lead instructor of the renowned Cayce/ Reilly® School of Massage in Virginia Beach, VA has studied energy therapies since 1992 when she first became interested in Reiki. Since that time, she has become a US Board Certified Massage Therapist, a Reiki Master/Teacher, a registered Jin Shin Do® acupressurist, as well as a Senior Authorized Jin Shin Do® Teacher with the Jin Shin Do® Foundation. Some of her other studies include Touch for Health, Oncology Massage, Reflexology, Shiatsu, Feng Shui, & Tai Chi. She is a current member of the Natural Health Practitioners of Canada. 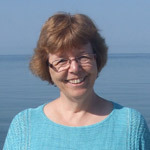 Before relocating back to her native Nova Scotia in September of 2016, Judy owned her own very successful bodymind/ wellness practice – Energy Arts Unlimited, LLC which was located in Virginia Beach, VA from 2002 to 2016. At the same time, she had a successful teaching career in both the Core and Continuing Education Programs of the Cayce/Reilly® School of Massage teaching Jin Shin Do® Bodymind Acupressure®, Reiki, and Introduction to Asian Theory. Now resettled in Nova Scotia, Judy is looking forward to sharing what she has learned on her journey and to helping others on their own path to health and vitality! Our sessions together will be using the Jin Shin Do® Acupressure modality. I see myself as a witness and guide for my clients as they move into and along their journey to health and vitality. As we work together in sessions we explore possibilities that work best for you to produce the most beneficial results. I am passionate about acupressure because it is a gentle but very powerful modality that brings about deep relaxation and balance in the body’s energy while helping on many levels. The recommended first session is 1 1/2 hours to include assessment time. ***Please note this service is not covered by health insurance.